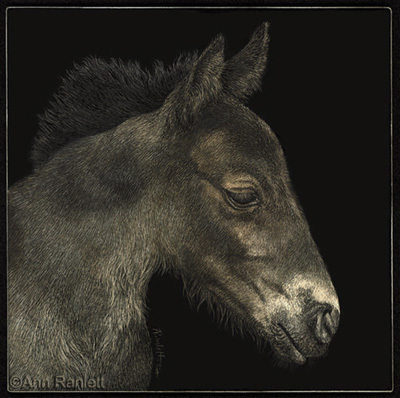 “Fuzzdorable“, my scratchboard drawing of a filly, was awarded first place in the “Anything Goes” category at the Art at the Classic show. Read more and see stages of the drawing in progress in this blog post. This entry was posted in award, scratchboard, shows. Bookmark the permalink.